New kinds of groups are forming attributable to the growth of the Internet and many kinds of businesses have been built because of it. The power of people organizing without organizations is impressive. Clay Shirky examines the trend and discusses its impact. One person who attempts to explain the “magic” of why so many counterintuitive things that shouldn’t work in the real world not only work but seem to be the basis for creating thriving businesses is Clay Shirky, author of Here Comes Everybody: The Power of Organizing Without Organizations. In Here Comes Everybody, Shirky catalogs the kinds of businesses that simply couldn’t exist or thrive without a redundant massive Internet superstructure churning away in the background of our lives. In his book’s first chapter, “It Takes a Village to Find a Phone,” Shirky describes how New Yorker Evan Guttman was able to track down a friend’s lost cell phone by using the Internet. This story not only describes what’s changing in the world that allows a person to find a lost cell phone in a sprawling city, but it also defines the issues addressed throughout Shirky’s book. Each chapter describes something extraordinary that simply couldn’t have happened without the ubiquitous and now taken-for-granted Internet: Wikipedia works because of online group sharing tools. Flickr works because its audience determines its content and self-organizes. Weblogs have created a new counter-narrative that simply wouldn’t have been possible a decade before without Blogger. Cell phones and text messaging make new kinds of political protest and assembly possible. Linux has grown into a viable operating system because the Internet allowed Finnish software engineer Linus Torvalds to find the coders to build it. In Here Comes Everybody, Shirky describes how seemingly innocuous tools such as Facebook and Twitter can be used to organize protests against airlines or inform the public about the arrest of a dissident writer. 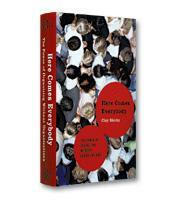 Another informative aspect of Here Comes Everybody can be found in Shirky’s insights about how traditional businesses have been structured and how Internet businesses can almost structure themselves with the help of self-directed and self-organizing groups. For example, in the world of encyclopedias, he shows how the passion and energy of the volunteers at Wikipedia can beat the money of Microsoft’s Encarta and the tradition of Britannica. The book’s final chapter wraps up the thoughts of the author on a variety of connected topics, but if you’re in one of the industries deeply affected by the Internet, such as newspaper publishing, and you would like answers for how to deal with Craigslist, for example, Shirky’s advice is not entirely clear. Although more answers would improve the book, Here Comes Everybody offers an informative starting point to get the deeper discussion — and the crowds of people it entails — moving forward.